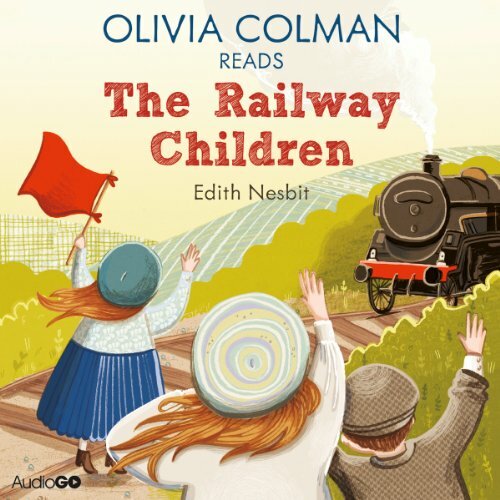 Olivia Colman reads E. Nesbit's classic novel. The Railway Children is a masterpiece of children's fiction. It wonderfully evokes a bygone age and is packed with fun, excitement and adventure. When their father goes away unexpectedly, Roberta (Bobbie), Peter and Phyllis have to move from London to a cottage in the countryside. At the local station they make friends with the porter, Perks, and spend their time waving to the passengers on the trains. But although they have many adventures, one question still remains: is their father ever coming back? The story of the children's attempt to avert disaster on the line, the mystery surrounding their father and Bobbie's resourcefulness has been cherished by generations. ©2013 AudioGO Ltd (P)2014 Audible, Inc.